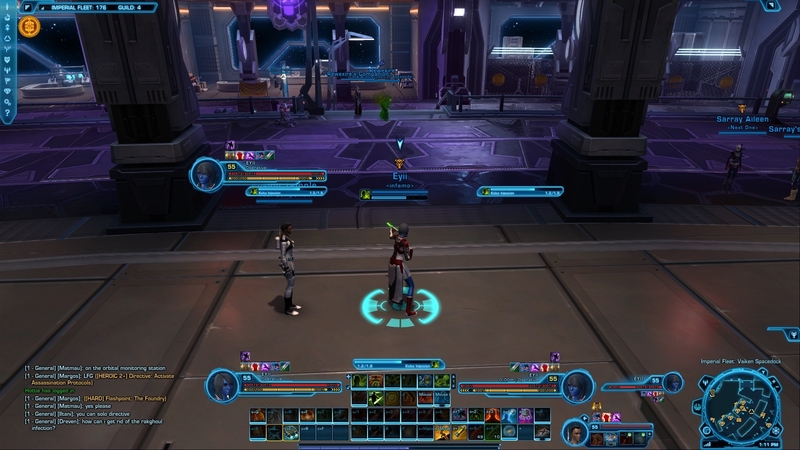 SW:TOR Interfaces » Layouts » Imperial Agent » PvP Interface - Healer/DPS/Tank. 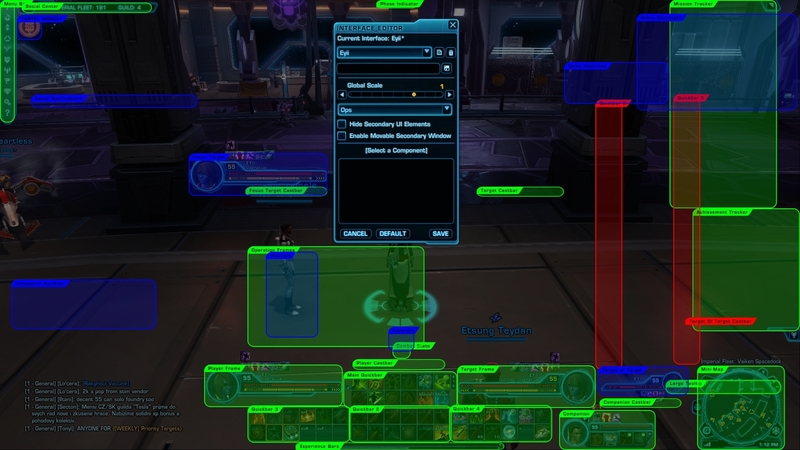 This is the interface i've come up with, and ended up using on every character i got (Hence why there are some empty slots in quickbars). It's simple, and tells you everything you need to know. This is setup for my healer (If you wanna use it for 16man ops i would recommend moving the OPS frame a bit to either side (whatever floats your boat) so you can see what goes on beneath you. And if your going for the DPS or tank. Move OPS frames up in the left corner. And make group frames again instead of ops frames when in group (again, whatever floats your boat). It has a focus frame where you can see it, and have an eye on either targets castbar or focus' castbar. The only flaw in this is that you have to open/close the mission tracker when in warzones. Any questions. Feel free to ask.